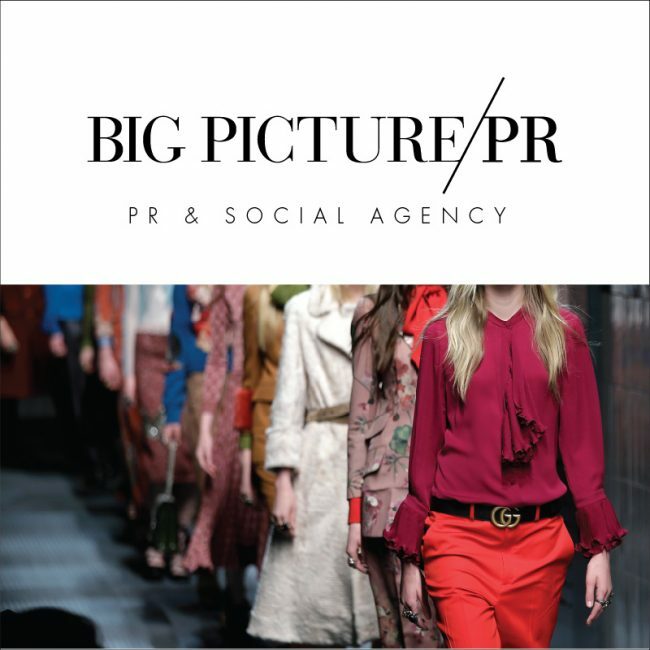 Big Picture PR is a boutique integrated communications agency specializing in crafting compelling public relations campaigns focusing on media relations, product placement and social media programs for a consumer lifestyle clientele: fashion and accessories, beauty and wellness, home decor and design, sustainable and socially conscious, baby and new mom. Spanning both coasts, with a presence in both San Francisco and New York City, we have earned a reputation among top-tier national editors, producers, stylists and bloggers since 2004. We introduce a well-edited collection of emerging brands at our exclusive NYC editorial previews throughout the year, staying at the forefront of the media. We energize and illuminate the brands we work with through media placements in national consumer lifestyle print and digital media. With innovative agency ideas and a boutique approach of engaged, personalized service, our public relations and social media campaigns engage audiences and create the ultimate in word of mouth “buzz.” Big Picture PR has secured top-tier media placements across a broad spectrum of media creating brand recognition for our clients, building loyal brand enthusiasts and on and off-line communities for both established and emerging brands alike. Unparalleled energy and imaginative thinking fueled by our creativity guide us in developing strategic public relations campaigns that have a positive impact on our clients’ businesses and grow their vision.